Purchasing this item will earn you 191 reward points (Loyalty points $1.91) ! AnxioCalm is formulated from a naturally occurring plant phenol. 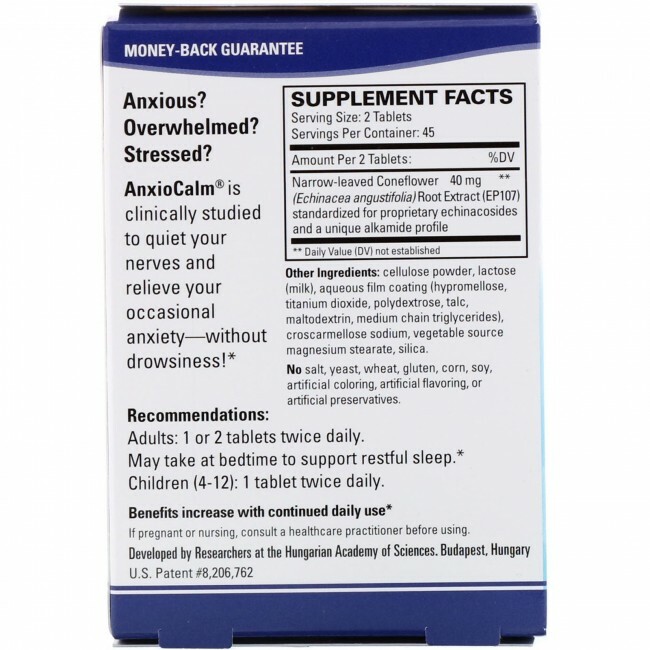 Terry Naturally Anxiocalm is clinically studied for nerves and anxiety without drowsy side effects. 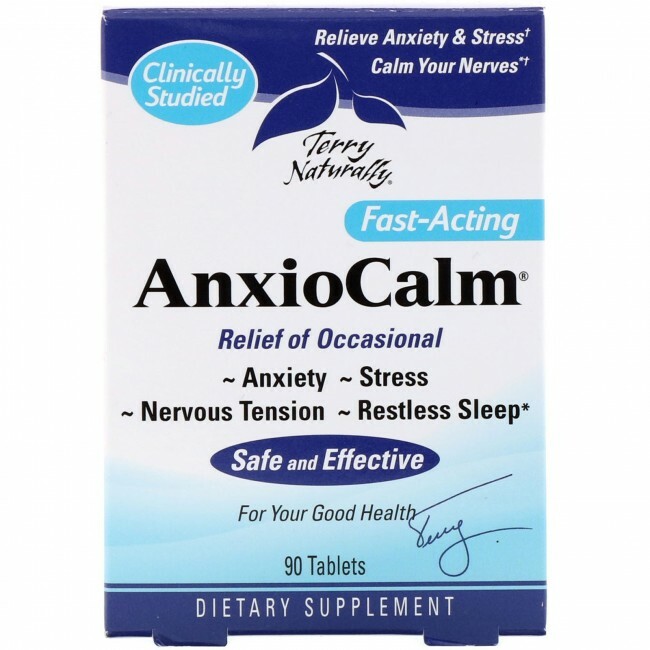 AnxioCalm contains a proprietary compound to help with nerves and anxiety. Anxiocalm is clinically studied to quiet your nerves and relieve your occasional anxiety. Anxiocalm accomplishes this without the drowsy side effects associated with other such products. ARE YOU ANXIOUS, OVERWHELMED OR STRESSED? An active ingredient in Anxiocalm is the extract of the Narrow-leaved Coneflower as seen above. The Narrow-leaved Coneflower is an echinacea with a curious attachment to American history. The secret of this amazing echinacea was revealed to Native Americans upon observing sick or wounded elk digging up and consuming the plants, including the roots. For this reason among Native Americans, the plant is known as Elk Root. It is said the natives used Elk Root for ailments ranging from headaches to snake bites. In 1805 Lewis & Clark sent Thomas Jefferson specimens of Echinacea Angustifolia from Fort Mandan. The packing list refers to the echinacea as 'Mad Dog Plant.' They noted that it was "highly prized by the natives" in the packing notes. Fast forward to Anxiocalm. It contains an extract labeled as echinacea extract (EP107) standardized for a proprietary echinacoside. Echinacosides ECH were first identified in the 1950's and have been studied and used for a variety of health issues for over 60 years. ECH's are naturally occurring plant phenols, but phenols are not all the same and don't produce the same results. Europharma doesn't further describe the unique alkamide profile of the ECH they use in Anxiocalm however we can deduce that the calming effects reported by users of Anxiocalm originate from this wonderous and quite attractive purple plant. Please share your experience with others by leaving an Anxiocalm Review and enjoy it in good health.